São Paulo offers a dynamic setting for Grand Prix hospitality in Brazil; enjoy the sophistication of prestigious hotels, and gourmet restaurants whilst you gaze in awe at the most exhilarating sport in the world. The circuit in São Paulo is a magnet for those seeking a mix of the exotic Brazilian atmosphere combined with the excitement of the race. 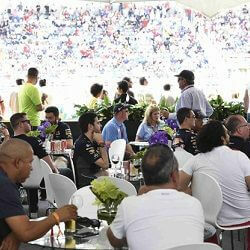 Take advantage of our F1 hospitality in Brazil, which has all the well known hallmarks of any world class sporting event. 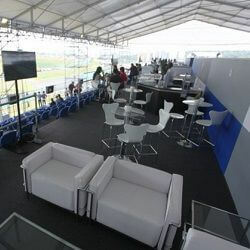 The Interlagos Club is located on the approach to one of the circuits most difficult series of …. One feature of the Brazilian Grand Prix since some years is the Orange Tree Club, named after a….